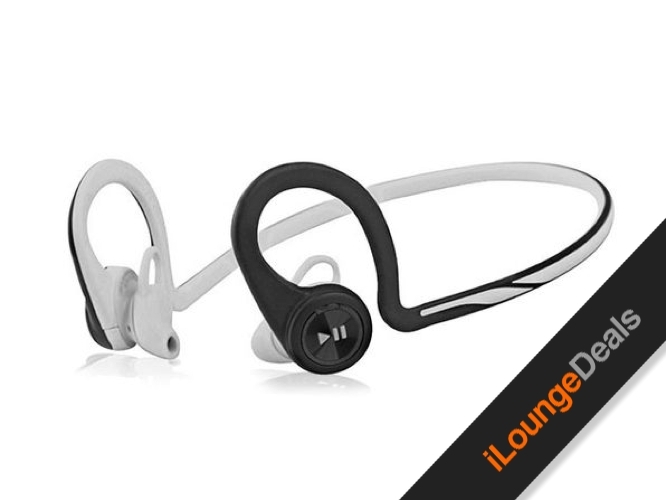 In our iLounge Deal for today, we’re offering the Plantronics BackBeat Fit Wireless Sport Headphones for only $59.99 — that’s 53% off the regular price. Lightweight, sweat-resistant, and noise-cancelling, these headphones are designed to filter outside distractions and fuel your workouts with Bluetooth audio for up to eight hours on a single charge. Their secure fit ensures they won’t get caught on your pumping limbs, and you can easily switch songs using the intuitive inline controls. What’s more, you can take your training even further with unlimited access to 12 PEAR Personal Coach App workouts and a 6-month membership to PEAR+’s audio coaching resources.